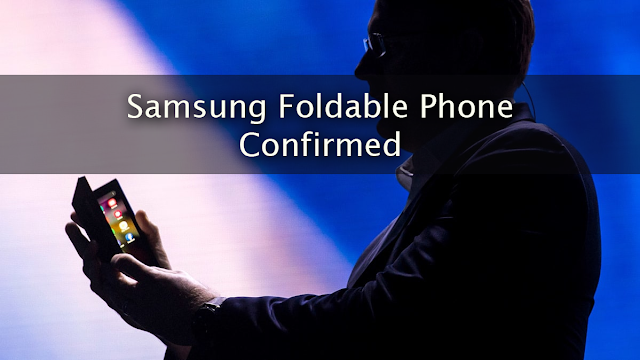 The Samsung Company on Wednesday, November 7th ushered a new era of mobile phone design and manufacturing by rolling out the world's first foldable phone. The company, a leading mobile phone manufacturer, has been a formidable force as far as designing and manufacturing of innovative concepts of mobile phones is concerned. The foldable phone is designed to be capable of doubling as a smartphone as well as a tablet. According to the design concept, the 4.5-inch screen size of the mobile phone can pen up’ into a 7.3-inch screen size tablet with improved graphics and interface functionalities. Although the company did not disseminate information regarding the phone’s capabilities, the company is rumored to dab the new gadget as Galaxy X or Galaxy F. Speaking during the exclusive launch of the phone, the company's Senior Vice President of Mobile Marketing, Justin Denison, revealed that the new gadget would use revolutionary display technologies dubbed as Infinity Fleck Device. The device is meticulously designed to avoid material degradation following progressive opening and closing. Despite the limited technical information released during the launch, the company said that the very few released devices would be used as a concept to help design more sleek and compact versions that would be rolled out in the coming months. Mobile gadgetry enthusiast expressed their views that the market performance of the foldable phone would greatly depend upon its packaging and final design. With no competition of similar devices around the world, Samsung’s concept of the foldable phone is bound to spur innovative ideas on how the phone can be improved upon. Given the complex material design involved in giving the phone multiple functionalities of the display, it may be sure that the foldable phone may ultimately be bulky, something that would be bound to serve as a significant setback. The company is, therefore, expected to undertake comprehensive research and development to address such unforeseeable downfalls. To power up the foldable phone, Google will be expected to provide the technical software required to ensure the conceptualized functionalities of the phone are actualized. Speaking during the launch, Google’s head of Android UX, Glen Murphy said that his company would provide the required display technology that would promote Samsungs vision. Among the key features that Android would support include the multi-active window that would allow users to run up to three apps simultaneously. After launch, the device is expected to cause a frenzy across mobile phone enthusiast as it is supposed to add a new dimension in the manner in which mobile phone users regard and use their phones. The two tech giants pledged to work hand-in-hand to ensure that the gadget, expected to be rolled out in early 2019, functions seamlessly. Among the anticipated improvements on the mobile phone’s functionalities include enhanced experience whereby the phone will be fully optimized for quick access and user interactions. Despite the ability of the users to switch between different levels of display sizes, the company expressed that the display functionalities would not be compromised as a result. For example, switching between the 4.5 and the 7.3-inch display size would have the resolution appropriately shifted from 840x1960 to 1536 x 2152 dpi. The interoperability of the world's first foldable phone is expected to support different lifestyles such as instances where mobility demands confining of the phone on limited pocket sizes among students. It would also double well as a suitable a larger screen display size as required by environments such as in the office.